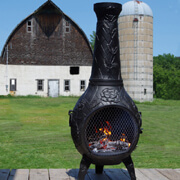 You will not find a better value in an outdoor gas fireplace than a Blue Rooster chiminea. 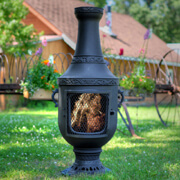 These can be used in any climate and any weather and will outlast any other chiminea on the market. 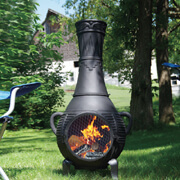 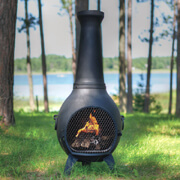 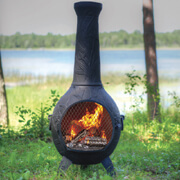 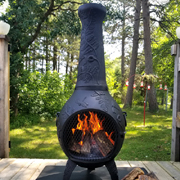 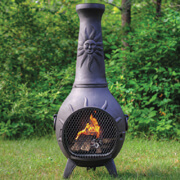 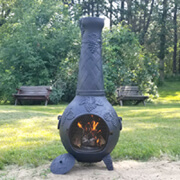 Our heavy duty wood burning chimineas are fitted for use with propane or natural gas. 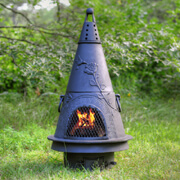 All gas chimineas can be converted to wood and back to gas again for dual purpose use. 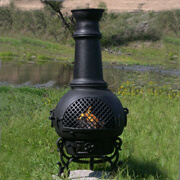 The LP/NG chimineas are available in Cast Aluminum but we can set up a Cast Iron model upon request. 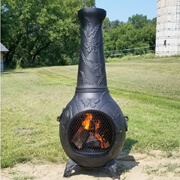 Please choose a model for more information.